Nick Twisp returns--still stuck on Sheeni Saunders and still hiding out in an undisclosed (to his enemies) location. 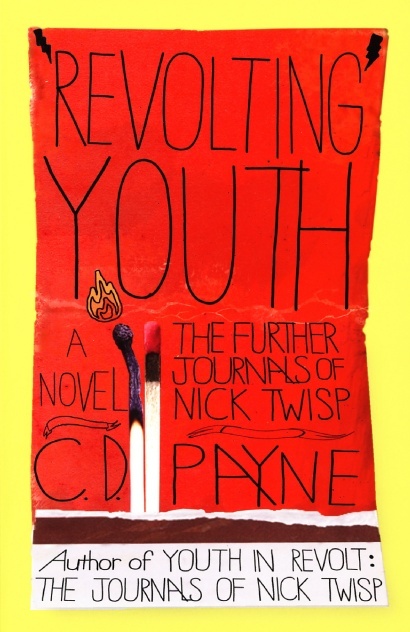 Not surprisingly, things go bad fast as America's most literate teen diarist lurches from dire missteps to absolute mayhem. Will he rescue Sheeni from that home up north? Will he elude the cops and FBI? Read on to find out. Also available for Kindle, Nook, iTunes, etc. Note: Although we recommend that you read the Revolt novels in sequence, that is not required. Each book is a stand-alone novel that can be enjoyed on its own. Familiarity with the other titles is not required.